Celebrate the Perkiomen Watershed with a bicycle ride on the Perkiomen Trail enjoying views of the Perkiomen Creek and surroundings. New format for 2019! Details Coming Soon! Time: 9:45 am at the Deep Creek/Snyder Road Parking Area in Green Lane. Route: Start at Deep Creek Lake in Green Lane and finish in Collegeville Borough with food and a drink at Appalachian Brewing Company - A Point to Point Ride. Approx. 13 mile ride on the Perkiomen Trail (see elevation map below). 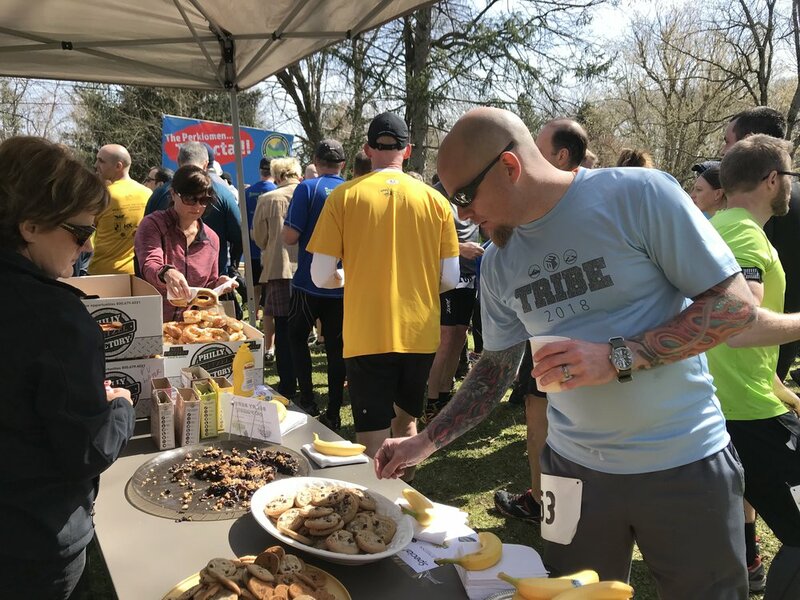 Event Finish: Appalachian Brewing Company in Collegeville where you will receive one free Beverage and open access to a complimentary light Hors d'oevres Bar from 11:00am - 1:00pm. (If you are hungry, please place your own order from the menu). access to open hors d'oevres bar. Proceeds benefit the Perkiomen Watershed Conservancy. Option one: Make your own arrangements with your bike and car. Meet us at the starting point at Deep Creek/Snyder Road Parking Area by 9:45 am. Option two: Drop off your bicycle at the Deep Creek/Snyder Road Parking Area between 8:00 am and 8:45 am. Drive your car to Appalachian Brewing Company in Collegeville where you will park and take the shuttle back to the Parking Area. Shuttle will leave at 9:00 am. Option three: Rent a bicycle from us. Park your car at Appalachian Brewing Company and take the shuttle to the starting point at Deep Creek/Snyder Road Parking Area.